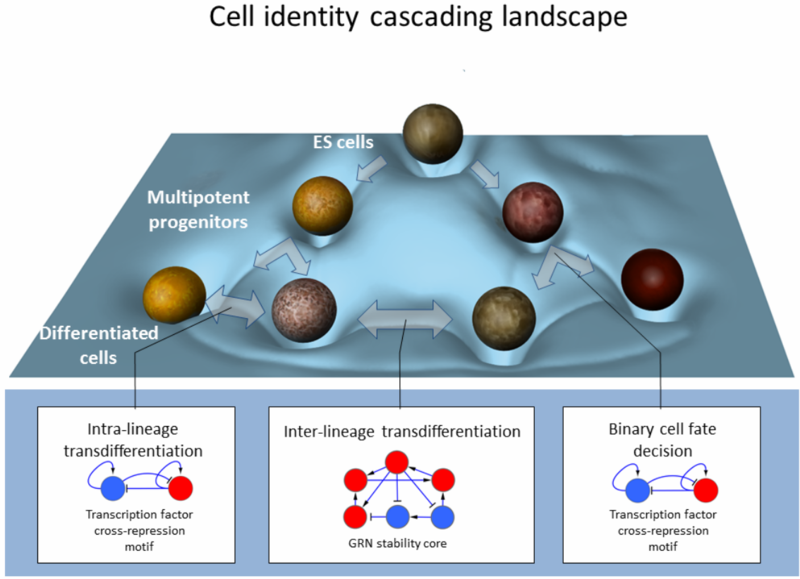 Scientists at the Luxembourg Centre for Systems Biomedicine (LCSB) of the University of Luxembourg have developed a model that makes predictions that allow for deciding which differentiated cells — for instance skin cells — can be very efficiently changed into completely different cell types — such as nerve cells, for example. This is the first paper based solely on theoretical, yet practically proven, results of computational biology to be published in this journal, the scientists say. Such changes “could yield new options for regenerative medicine,” says Professor Antonio del Sol, head of the Computational Biology group at LCSB. The applications could be of enormous benefit. When nerve tissue becomes diseased, for example, then doctors could take healthy cells from the patient’s own skin. They could then reprogram these to develop into nerve cells. These healthy nerve cells would then be implanted into the diseased tissue or even replace it entirely. This would treat, and ideally heal, diseases such as Parkinson’s disease. The techniques for cell programming are still in their infancy. Stem cell researchers Shinya Yamanaka and John Burdon received the Nobel Prize for converting differentiated body cells back into stem cells only last year. The first successful direct conversion of skin cells to nerve cells in the lab was in 2010. Biologists add refined cocktails of molecules, i.e., growth factors, to the cell cultures in a certain order. This allows them to control the genetic activity in the conversion process. However, this method so far has been largely guided by — educated — trial and error. Now, the LCSB researchers have replaced trial and error with computer calculations, as computer scientist and PhD student at LCSB Isaac Crespo explains: “Our theoretical model first queries databases where vast amounts of information on gene actions and their effects are stored and then identifies the genes that maintain the stability of differentiated cells. “Our predictions have proved very accurate in the lab,” says Professor del Sol: “And it turns out it makes no difference at all how similar the cells are. The models work equally well for cell lines that have only just branched off from one another as for those that are already very far apart.” Prof. del Sol’s and Crespo’s model thus allows highly variable jumping between very different cell types without taking a detour via stem cells.